Press Release: March 28, 2017 (Silver City, NM) – More than two-dozen men’s professional cycling teams and a dozen women’s teams have accepted invitations for the 31st edition of the Tour of the Gila. The race is once again proud to be hosting top veterans and young talent from North America and around the world. The 5-day stage race will begin on Wednesday, April 19 and end Sunday, April 23 with the infamous Gila Monster road stage that includes over 9,000 ft. of climbing for the men, and 5,500 ft. for the women. Several teams will be racing Tour of the Gila for the first time including foreign teams in the men’s race – Canel’s Specialized from Mexico, Mobius Racing from Australia and Movistar Team Ecuador, and in the women’s race – Rise Racing from Canada. The challenging terrain at the Gila has long become a showcase for the rising stars of professional cycling, helping to launch the careers of national champions, Olympic medalists, and international stars. 2016 UCI Men’s overall winner, Lachlan Morton, signed to the WorldTour team Dimension Data after winning the Gila kicked-off a stellar season for the Australian. Record breaking, 6-time champion of the UCI women’s race, Mara Abbott, made the difficult decision to retire after representing the United States at the Rio Summer Olympics. With both defending champions absent, the race is sure to be an exciting and interesting one! In the women’s race, UnitedHealthcare Pro Cycling’s Lauren Hall and Katie Hall will be hoping to lead their team to overall victory. 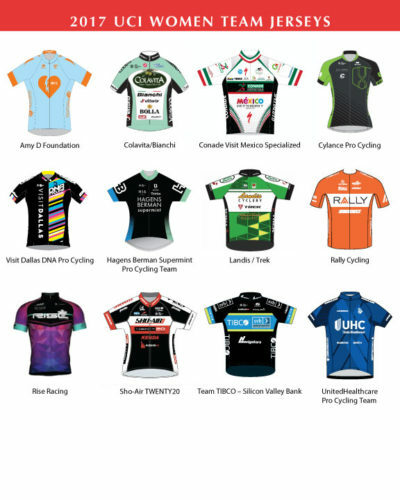 Looking to block their efforts, will be Team Colavita/Bianchi with Abby Mickey and Amber Pierce, both having enjoyed past success at the Gila. Rally Cycling will return, planning to add to their stage wins from last year, while Team TIBCO’s Lex Albrecht makes her return to domestic racing after spending last season overseas. Look for the Canadian to be a force on the steep climbs, while her teammate, Lauren Stephens, hopes to repeat her previous win in the Tyrone Time Trial. Others to watch are Scotti Lechuga from Hagens Berman | Supermint squad, and the always-competitive Visit Dallas DNA Pro Cycling and Sho-Air Twenty20. A stellar field will return once again for the men’s race. All eyes will be on UnitedHealthcare Pro Cycling since recruiting Janier Acevedo over the winter to re-join his Colombian compatriot, Daniel Jaramillo, who won the Gila Monster stage in 2016. The two raced together for several years on the recently defunct Jamis-Sutter Home team. The task will not be easy with the young guns from Axeon Hagens Berman and Silber Pro Cycling nipping at their heels, along with Jelly Belly and Rally Cycling, both with multiple past stage wins and overall GC titles. Not to be forgotten are the fast men of the peloton. While the general classification is often battled for in the mountains, the Gila offers plenty of opportunities for sprinters. A look at the preliminary roster previews what will surely be epic showdowns. For the first time in Silver City, WorldTour lead-out man, Greg Henderson, previously of Lotto Soudal and Team Sky, will be part of the blue train of UnitedHealthcare. The veteran will likely be leading out Travis McCabe, last year’s winner of the points classification and multi-time podium visitor. 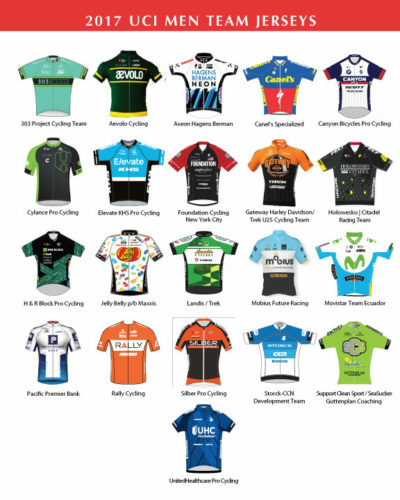 Fighting him to the line will be ex-teammate, Robin Carpenter of Holowesko | Citadel, Ulises Castillo of Jelly Belly, and Eric Marcotte of Cylance Cycling among others. The action will begin with a road race up to Mogollon on day 1, followed by the Inner Loop to Ft. Bayard for stage 2. Stage 3 will see the time trial specialist test themselves, with the general classification leaders looking to gain valuable seconds ahead of the Gila Monster. The spectator-friendly downtown crit is set for stage 4, before the fireworks for Sunday’s finale.